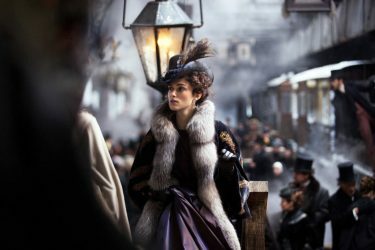 I did it again this spring with Leo Tolstoy’s Anna Karenina—an even more powerful book—which is widely regarded as the greatest novel ever written. So why did I abandon it after 640 pages out of 864 total? For the same reason I abandoned the aforementioned book. Although both were written by two of the greatest writers ever—this in my somewhat qualified opinion as someone who gets paid to write full-time—both were also marred by commission upon serial installments. That is, neither was originally released as a finished book, but rather a weekly ongoing magazine series. Like a compelling TV series that eventually jumps the shark. Now some critics might argue that I just don’t have the requisite attention span to finish either. I disagree. In both books, there is a noticeable moment after 2/3 completion in which either would have greatly benefited from an editor, fewer story branches, and concrete conclusion within reach. That said, I don’t fault either Dumas or Tolstoy for doing what they did. I would have done the same in their shoes. But both works demonstrate how short-sighted economic incentives can tarnish or impair otherwise greatness. Nevertheless, nothing can take away from Tolstoy’s unmatched ability to describe the human condition in a way that brought my brain to a screeching and awe-striking halt. He’s so good that his observations and use of language even made me question my chosen profession as a writer. There are people who, on meeting a successful rival, no matter in what, are at once disposed to turn their backs on everything good in him, and to see only what is bad. There are people, on the other hand, who desire above all to find in that lucky rival the qualities by which he has outstripped them, and seek with a throbbing ache at heart only what is good. She did not like their household itself; there was something artificial in the whole framework of their family life. With friends, one is well; but at home, one is better. Laska kept poking her head under his hand. He stroked her, and she promptly curled up at his feet, laying her head on a hindpaw. And in token of all now being well and satisfactory, she opened her mouth a little, smacked her lips, and settling her sticky lips more comfortably about her old teeth, she sank into blissful repose. She felt so sinful, so guilty, that nothing was left her but to humiliate herself and beg forgiveness; and as now there was no one in her life but him, to him she addressed her prayer for forgiveness. Looking at him, she had a physical sense of her humiliation, and she could say nothing more. He felt what a murderer must feel, when he sees the body he has robbed of life. That body, robbed by him of life, was their love, the first stage of their love. There was something awful and revolting in the memory of what had been bought at this fearful price of shame. Shame at their spiritual nakedness crushed her and infected him. But in spite of all the murderer’s horror before the body of his victim, he must hack it to pieces, hide the body, must use what he has gained by his murder. How is it you don’t smoke? A cigar is a sort of thing, not exactly a pleasure, but the crown and outward sign of pleasure. “They have chosen a time to talk,” she was thinking. “It’s on the wing. Here it is, yes, it is. They’ll miss it,” thought Laska (the hunting dog). This child’s presence called up both in Vronsky and in Anna a feeling akin to the feeling of a sailor who sees by the compass that the direction in which he is swiftly moving is far from the right one, but that to arrest his motion is not in his power, that every instant is carrying him further and further away, and that to admit to himself his deviation from the right direction is the same as admitting his certain ruin. When she thought of her son, and his future attitude to his mother, who had abandoned his father, she felt such terror at what she had done, that she could not face it; but, like a woman, could only try to comfort herself with lying assurances that everything would remain as it always had been, and that it was possible to forget the fearful question of how it would be with her son. She took no interest in the people she knew, feeling that nothing fresh would come of them. Often one wonders what is the goal of this life? The other side!” she said angrily to Varenka. “To do good, probably,” said the prince with a twinkle in his eye. It might be bad, this new position, but it would be clear; there would be no indefiniteness or falsehood about it. Ambition was the old dream of his youth and childhood, a dream which he did not confess even to himself, though it was so strong that now this passion was even doing battle with his love. So one goes on living, amusing oneself with hunting, with work—anything so as not to think of death! For a long while he could say nothing, not so much because he was afraid of desecrating the loftiness of his emotion by a word, as that every time he tried to say something, instead of words he felt that tears of happiness were welling up. To Levin, as to any unbeliever who respects the beliefs of others, it was exceedingly disagreeable to be present at and take part in church ceremonies. At this moment, in his present softened state of feeling, sensitive to everything, this inevitable act of hypocrisy was not merely painful to Levin, it seemed to him utterly impossible. Now, in the heyday of his highest glory, his fullest flower, he would have to be a liar or a scoffer. Apart from her interest in the house (that she has), apart from dress and broderie anglaise, she has no serious interests. No interest in her work, in the estate, in the peasants, nor in music, though she’s rather good at it, nor in reading. She does nothing, and is perfectly satisfied. In spite of the terrible change in the face, Levin had only to glance at those eager eyes raised at his approach, only to catch the faint movement of the mouth under the sticky mustache, to realize the terrible truth that this death-like body was his living brother. With inaudible steps she went quickly to the sick man’s bedside, and going up so that he had not to turn his head, she immediately clasped in her fresh young hand the skeleton of his huge hand, pressed it, and began speaking with that soft eagerness, sympathetic and not jarring, which is peculiar to women. It’s not the reward that’s precious, but the work itself… In loving your work, you will find your reward in it.